SEMA Equipment has an outstanding selection of model year 2012-2015 John Deere S680 combines and select corn heads and flex heads available with a SEMA exclusive comprehensive warranty for the 2018 harvest season. 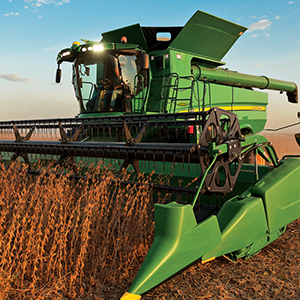 Not only will you have the upmost machine cost and uptime protection for the 2018 harvest, but you will also receive a 12-month interest waiver, with 4.9% financing after that. This trade offer is only available through August 27th, 2018. Contact a SEMA Equipment salesman today!